Nice addition to the material I sent you - I wasn't aware that Mae West had recorded a song about this guy! Though of course I knew that they were close friends, and one of his less accurate prophecies was that she would be the first female President of the USA. 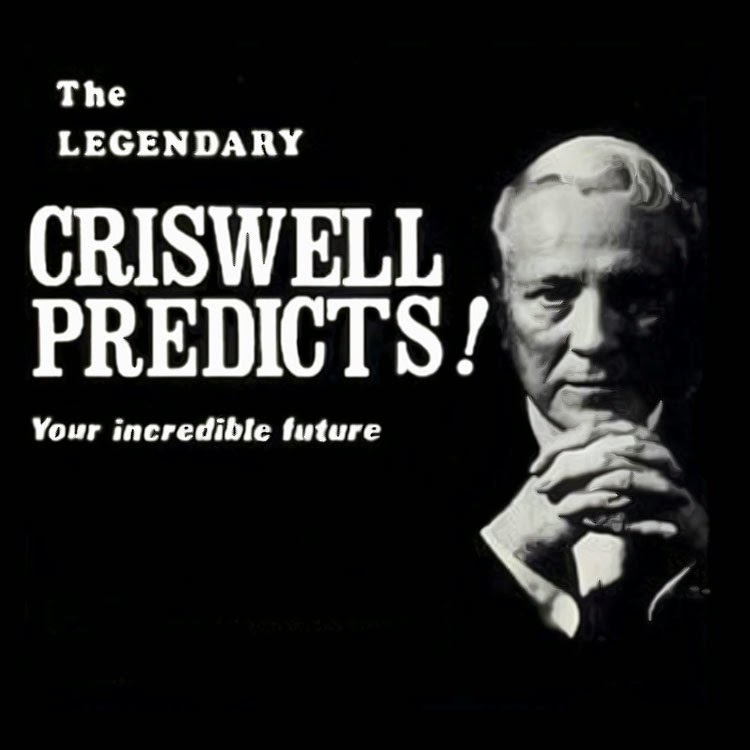 He also predicted that the 3 crew-members of the first rocket to the Moon would be Mae West, himself, and Liberace's brother. In an alternative universe where that actually happened, I expect the phrase: "Houston, we have a problem..." involved an unexpected interplanetary collision with Tor Johnson. First, Ethel Merman and today we have Criswell Predicts!